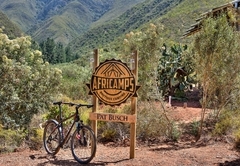 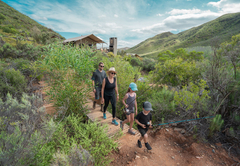 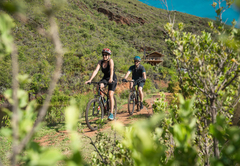 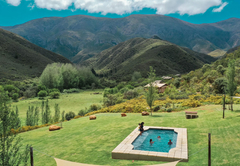 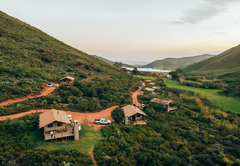 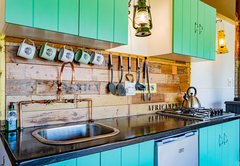 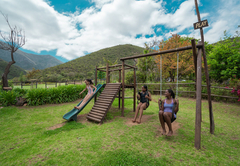 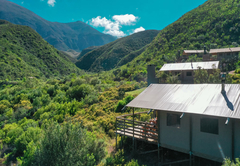 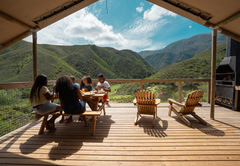 AfriCamps at Pat Busch Mountain Reserve is a property providing self catering in Robertson for tourists visiting the Breede River Valley region. 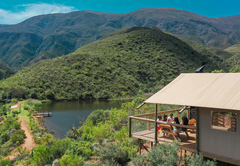 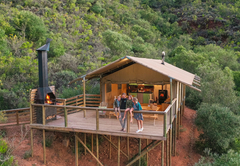 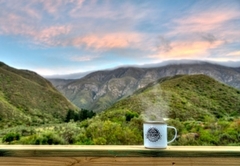 AfriCamps at Pat Busch Mountain Reserve offers spacious luxury tented accommodation in Robertson. 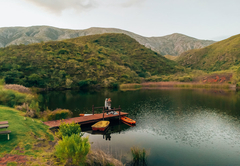 Here you are surrounded by mountains and fynbos with dams and streams and can enjoy a totally tranquil getaway. 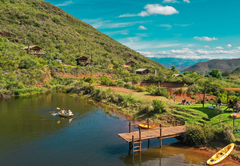 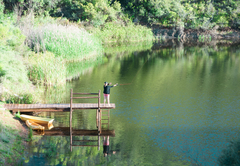 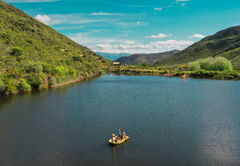 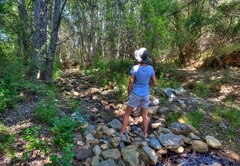 Activities include walks, swimming in the dam, mountain biking, hiking and fishing. 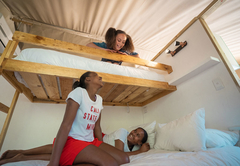 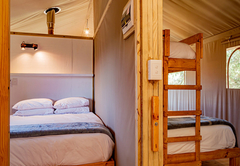 AfriCamps tents sleep up to five guests each in two bedrooms. 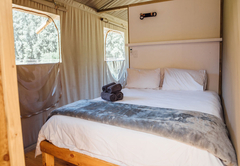 The main bedroom has a queen size bed and the second room has a queen bed and a single bed. 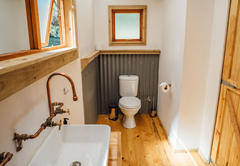 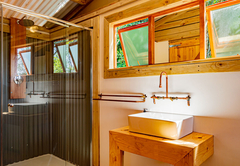 There is a private bathroom with a hot shower cabin, wash basin and flushing toilet. 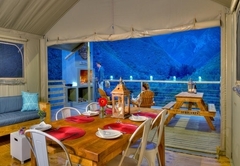 The lounge area has a comfortable couch, there is a dining area with a solid wood table where you can enjoy your meals together. 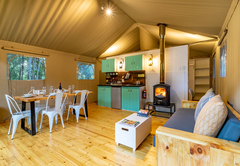 There is a fireplace in winter to warm up the tent on chilly nights in winter and air con to keep your tent cool during summer. 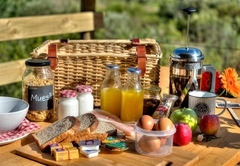 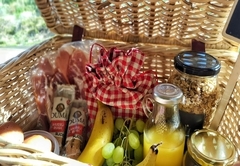 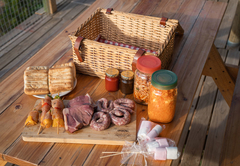 The tent has a fully equipped kitchen with everything needed for your self catering stay. 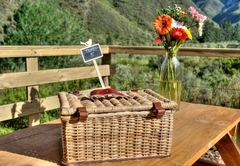 Outside you can enjoy your private wooden deck with loungers overlooking the natural surroundings on the working farm. 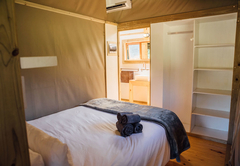 A luxury boutique camping tent with a lounge area, a dining area, and a wooden veranda. 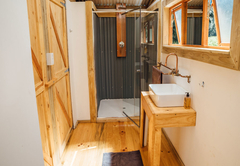 Included are two bedrooms and one bathroom with a shower. 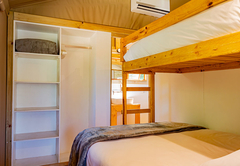 Both bedrooms have queen-size beds, with an additional single bunk bed in the 2nd bedroom. 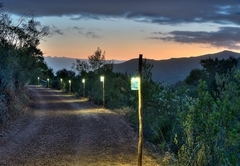 Response timeAfriCamps at Pat Busch Mountain Reserve typically responds to requests in 5-10 minutes.